An electronic health record system helps healthcare industry to maintain a structured and systematic arrangement of data and information. A strong system of EHR helps the physician and doctors to acquire information effectively without any loss of information. This information includes medical history of the patient, history of medications taken by the patient, lab reports, insurance policies, etc. With EHR blockchain, transactions can be conducted efficiently that help to store and locate data in order, which can be easily tracked or verified when the need arises. Physicians and doctors utilize epic EHR blockchain in order to track data of the patient for better monitoring to provide better cure and health service to the patient. One of the major challenges faced by healthcare industry is integrating different data of the patient. This is because a patient may go through different medications and treatments at different hospital with different doctors at different periods of time. When such data are not recorded properly, the condition of the patient at the present day is lost and the doctor or physician may not be able to provide efficient healthcare service. The accuracy or providing the right diagnosis and treatment becomes hard when interoperability within healthcare is low. With blockchain, electronic health record system is able to effectively interoperate with data across different departments and even different hospital institutions. Here’s why blockchain in healthcare is so beneficial. With blockchain, hospital institutions are able to provide an accurate and strong connection between different physicians and doctors involved in a particular surgical operation or task. Through this connection, data and information can be transferred in a secured manner at right time and right place to make smarter decisions. Blockchain empowers the physician, doctor or patient to handle data and information in an effective approach, that in turn helps them stay fit and healthy. Data such as medical prescriptions, treatments given to the patient, lab reports that state the medical condition of the patient, data of the patient getting admitted and discharged, doctor appointed for treatment, etc. Such details are crucial and different from time to time especially if the patient is a traveler. 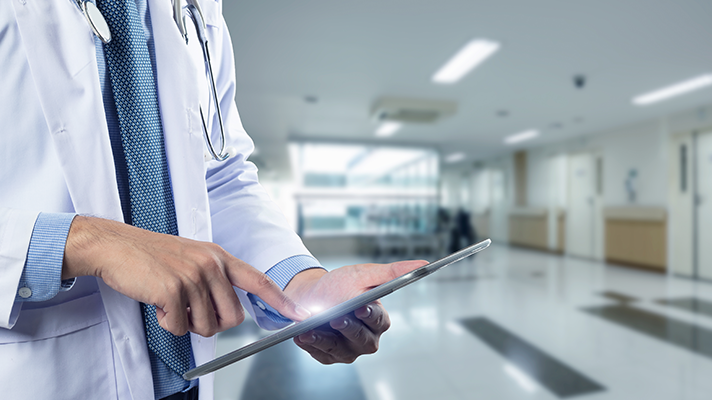 In such circumstances with the help of electronic health records that use blockchain, doctors and physicians are able to track data in a systematic order that helps them to connect dots between data. Data is stored in a yearly as well as orderly approach. In the case of a patient who visits different hospital institutions, undertaking services of different doctors for different symptoms, the job of a doctor or physician becomes harder. This is because, the doctor or physician does not know what other hospital doctors or physicians prescribed or diagnosed for the particular patient. Blockchain is a digital ledger and logs all data digitally right at the time when the operative task is taking place. Thus, no data or information is missed out. All information and data related to the patient is unified into one file and integrated across all hospitals that have treated the patient. Traditionally when an operative task has to be accomplished by a doctor or physician, they had to wait for authorization or validation or wait because of the time it took for a data or information to reach them. These delayed the process and transactions that had to take place. Thus, more money was spent on building systems with faster efficiency and yet still not able to build a system with large storage or vice versa. One way or another, either the hardware was ahead of the software or vice versa. This increased the cost invested in maintenance and storage. With blockchain being used in EHR, health industry is able to deduct and reduce such unnecessary costs. There is cost of setting up a large storage server as data are stored in cloud servers or with the help of server-less services provided by amazon, etc. Also, with blockchain, EHR does not require any third-party service to conduct maintenance of the system or using any third-party service for that reason. This also saves a lot of money, which can be usefully invested elsewhere to make the patient’s condition better. With blockchain, EHR systems are able to store, monitor, and track data in real-time without any lag in the system or glitch in the network or even when there is network failure. This is one of the most important features that is very much beneficial to doctors and physicians. They are able to make crucial decisions that sometimes even a patient’s life may depend upon. For example, what would happen if a patient is diagnosed with cancer at the last stage? With blockchain, such circumstances are identified at the earlier stage and the patient can be treated accordingly. It may be life changing for the patient. Blockchain also provides unlimited access to doctors and physicians involved within the network without any restriction. Therefore, doctors and physicians are also able to authenticate the data and information provided by the electronic heath record system. Since blockchain operate over a decentralized platform, the threat of data getting exposed or manipulated due to a single point of network error, failure, or hack is eliminated. Data and information are highly encrypted and distributed among the network in bits of chunk and blocks. Thus, the chances of data getting manipulated or mis-used is low. Also, only the parties involved within system will have access to the data and information stored. Even the parties involved cannot change the data or information once it is stored. Thus, the EHR system with blockchain is able to provide a more secured and privatized service to the healthcare industry. With blockchain, EHR systems are able to provide evidence of license of the doctor, physician or hospital institution that treat the patient. The ability to trace the data back to the source where it came from to validate authenticity is also easier with blockchain. Blockchain makes data and information available, accessible and visible to all healthcare organizations without any restriction. 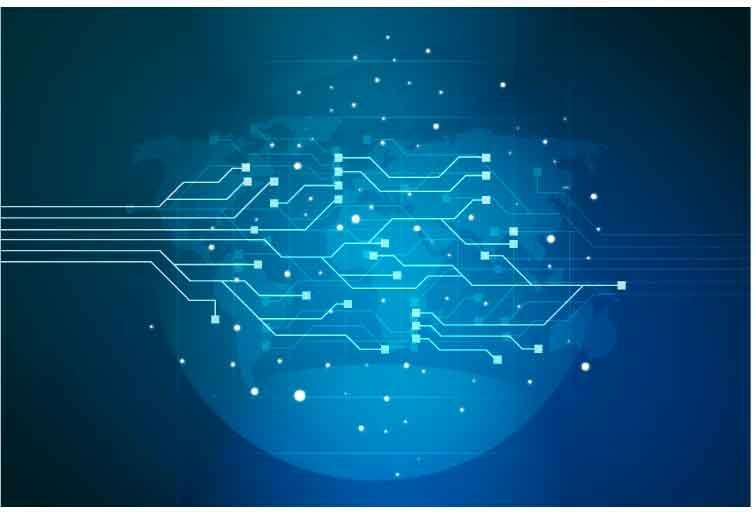 Blockchain technology by itself comes with certain limitations such as building a new system that complies with the new technology. Also, every personnel in the healthcare industry has to be trained and taught about its functionality. But yet still, blockchain is a promise that healthcare industry needs in order to connect different operations, data and information even across hospitals from different time zones. Sonal Mehta is a Content Lead at SoluLab, a leading Blockchain, Enterprise Mobile Apps and Web development company, started by ex-vice president of Goldman Sachs and ex-principal software architect of Citrix. SoluLab Inc provides full spectrum, 360-degree services to enterprises, startups and entrepreneurs helping turn their dreams into awesome software products.